Purchase this product now and earn 35 Tech Points! The Raspberry Pi 3 Model B is the most popular Raspberry Pi computer made, and the Pi Foundation knows you can always make a good thing?better! And what could make the Pi 3 better? How about a?faster?processor, 5 GHz WiFi, and updated Ethernet chip with PoE capability? Good guess – that’s exactly what they did! 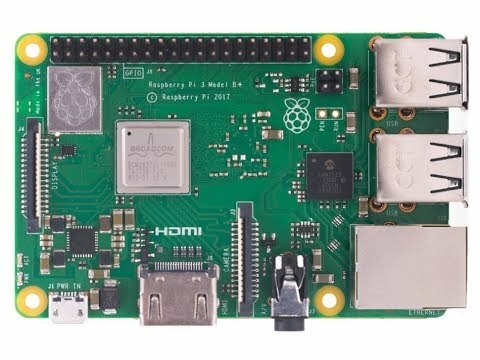 The?Raspberry Pi 3 Model B ?is the latest product in the Raspberry Pi 3 range, boasting an updated?64-bit quad core processor running at?1.4GHz with built-in?metal heatsink, dual-band 2.4GHz and?5GHz wireless LAN,?faster (300 mbps) Ethernet, and?PoE capability via a separate PoE HAT. Coming soon! ?Sign up and we’ll alert you the moment we have these in stock. The Raspberry Pi 3 Model B maintains the same mechanical footprint as both the Raspberry Pi 2 Model B and the Raspberry Pi 3 Model B. Adafruit made/brand cases will still fit but some other cases may not, especially ones that depend on component location or have a?built in a heatsink. You can still use all your favorite Raspbian or PIXEL software with this update – just make sure to?upgrade?your Raspbian operating system install so that the firmware can support the new chips. Note:?Our 5V 2.4 A power supply works great with the Pi 3 Model B and provides plenty of power to the chip, Ethernet, and any USB add-ons you plug in. The dual-band wireless LAN comes with modular compliance certification, that’s the metal tin in the corner of the Pi, with the logo stamped on it. This allows the board to be designed into end products with significantly reduced wireless LAN compliance testing, improving both cost and time to market. Curious about what’s ne and what’s the same with the Raspberry Pi Model B ? Here’s our video where we explain everything you need to know! Please note:?Even though the chip is a 64-bit ARMv8, Raspbian is currently only available in 32-bit ARMv7 compatible mode and so the OS may (confusingly) report it is an 32-bit ARMv7. Need assistance for getting started with Raspberry Pi? ?Follow this awesome guide here.